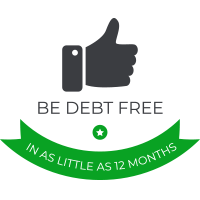 Make a monthly payment and do nothing at all about your debt. Of course, making the minimum payment will not reduce your balance. 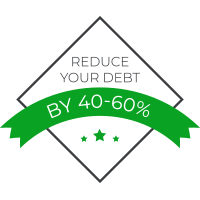 On average, the minimum payment for three years often means paying 50 percent of the original balance in interest alone. Credit card companies are also free to increase your interest rates whenever they choose. This counseling can reduce your interest rates into fixed interest, meaning more of your payment will go toward paying off your balance. 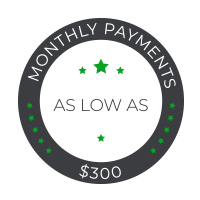 You can consolidate all your debt into one monthly payment. However, this new monthly rate will likely remain the same or even increase. File for Chapter 7 or 13 bankruptcy. Bankruptcy usually leaves a damaging impact on your credit score for the next seven to 10 years. Many also see a negative effect on their employment status after filing for bankruptcy because of the stigma and stress. Bankruptcy can also cost more than $1500 to file, including added attorney and filing fees. Our recommended program sends a dispute package to each collection agency, legally demanding proof of their right to collect on your account. If they are unable to verify their authorization, the account is considered invalid and unable to be collected upon. With this program, we automatically help you enroll in a credit repair program. We’ll discuss your options and help you move forward with confidence. Call Debt Advisors today.